Welcome to sunny March and a new Challenge YOUrself challenge. Sorry for the delay in posting this, I've been away this weekend on a scrappy retreat and forgot to schedule a post (slap on the wrist!). This months challenge is to use Chevrons on our pages. 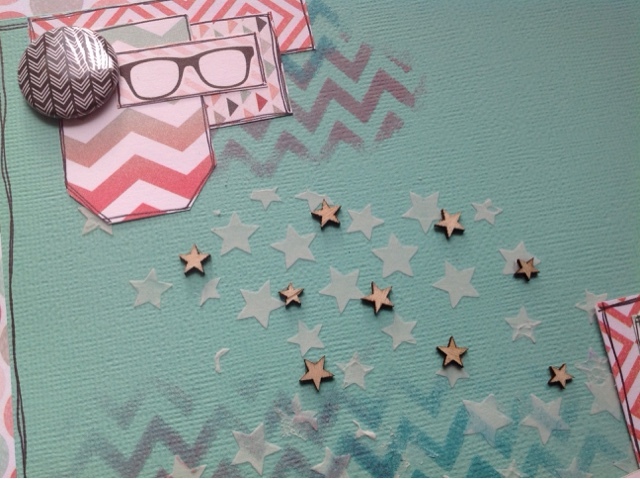 Before I started my page I thought I would use my chevron punch or embossing folder both from Stampin Up. But as I continued to look I found a piece of Chevron paper from My Minds Eye, the colours of it reminded me of an old photo of me from 11yrs ago when I used to dye my hair bright red so my page went in a completely different direction. As the colours matched my photo I decided to use the rest of the Cut & Paste collection. I also experimented with the background with texture paste, distress inks and stencils, I'm not normally one to do this for fear of screwing it up but decided to just go for it! So that's my page. 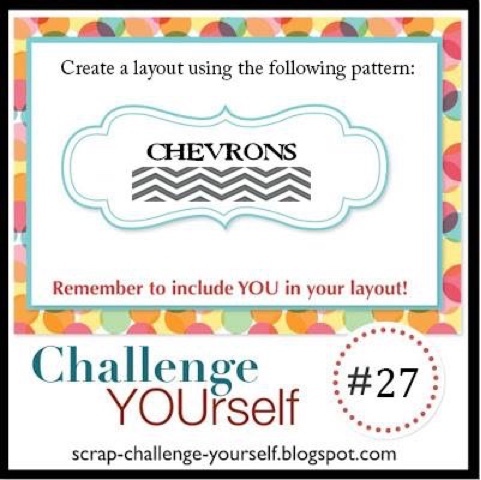 Why not pull out your chevron stash and create a page too. 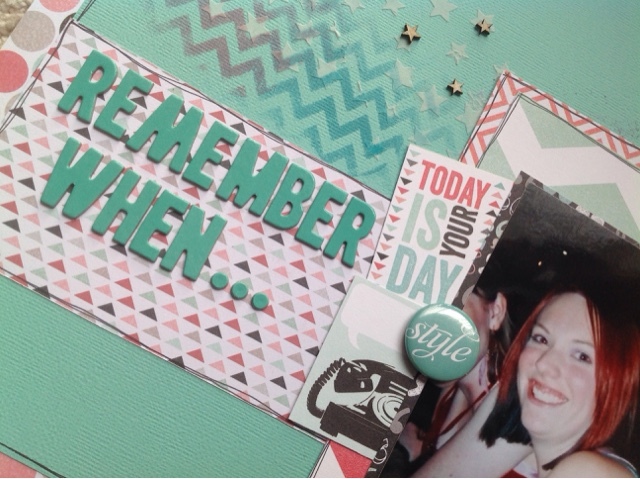 Remember to pop over the blog and check out the other DT layouts and link yours up to win a prize. Jess! This is amazing! I love your creative page so much! The colors and your background look absolutely awesome! And I love the fun photo of you with your red hair, too! !